Our 4″ railing line is for those who don’t want the robust look of the larger assemblies but still want the luxury of a synthetic stone balustrade. We have many baluster styles too choose from in addition to the Crowne Terrace pictured here. This system is slightly smaller than our 7-1/2″ option. The system is pictured with our 7″ Post but would work well with the 9″ Post. Some customers use our 7-1/2″ system with the 12″ Newel Post, depending on personal preference or project objective. 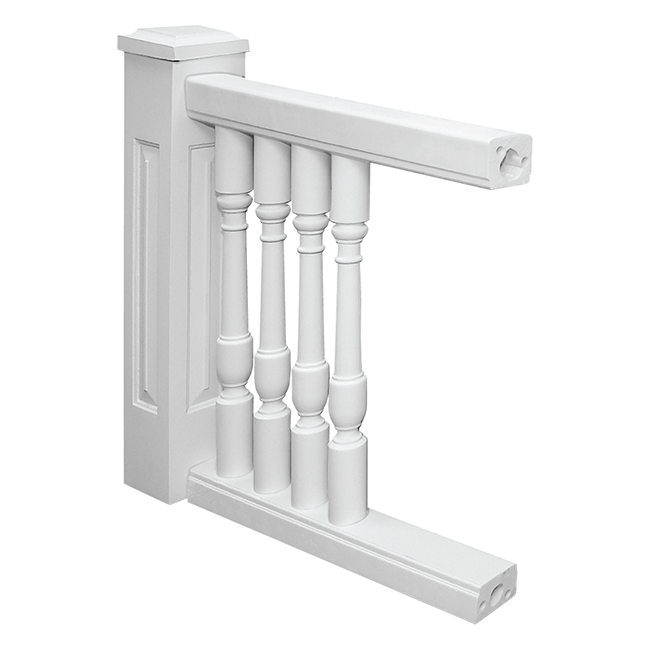 We have many baluster styles to choose from that work with this railing system. 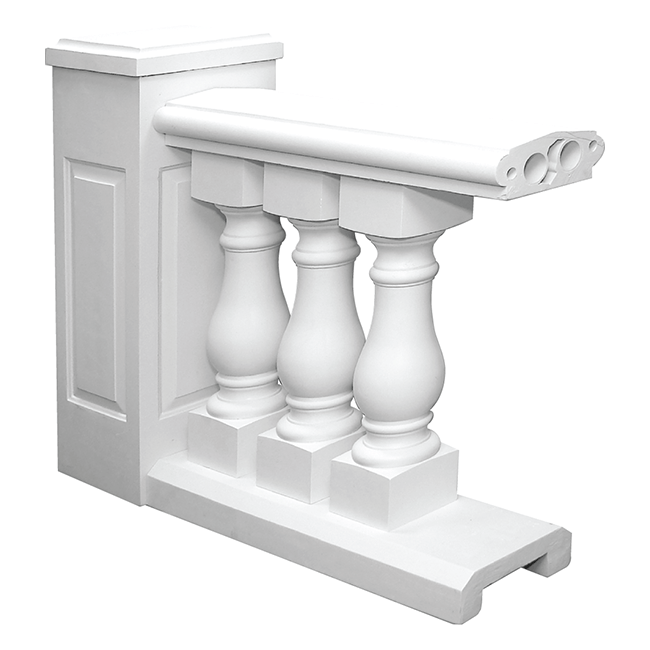 Our 7-1/2″ Balustrade is the most popular among builders and homeowners: This assembly is not too big nor is it too small. We have many spindle styles to choose from that work with the 7″ rail system. 42″ height code requirements can be attained with this railing choice and taller balusters. The Port Yelena is the only baluster made exclusively for our 10″ rail system; however, any of the balusters found under our 7-1/2″ system are compatible. 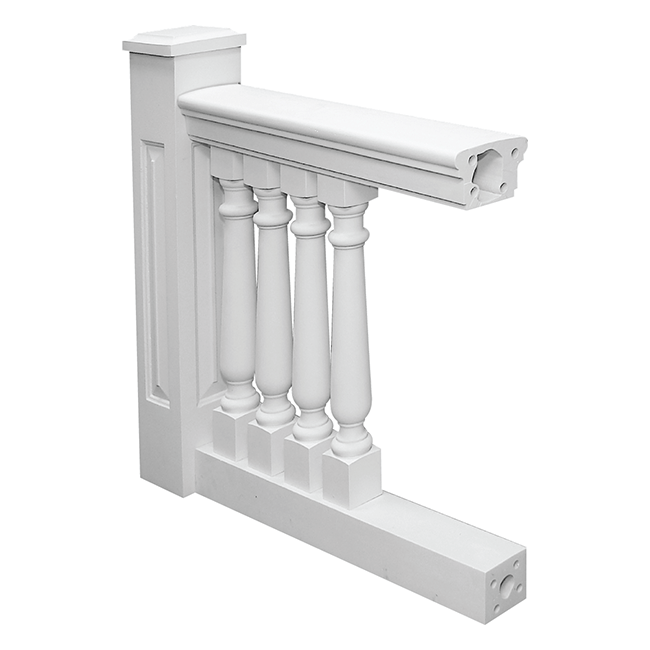 Our recommended rail/baluster configuration is just that: a recommendation. These architectural balustrades are spun-cast using a combination of limestone dust, polymer resin, and pigment which results in a Synthetic Stone product that is fully permeated with your desired color. 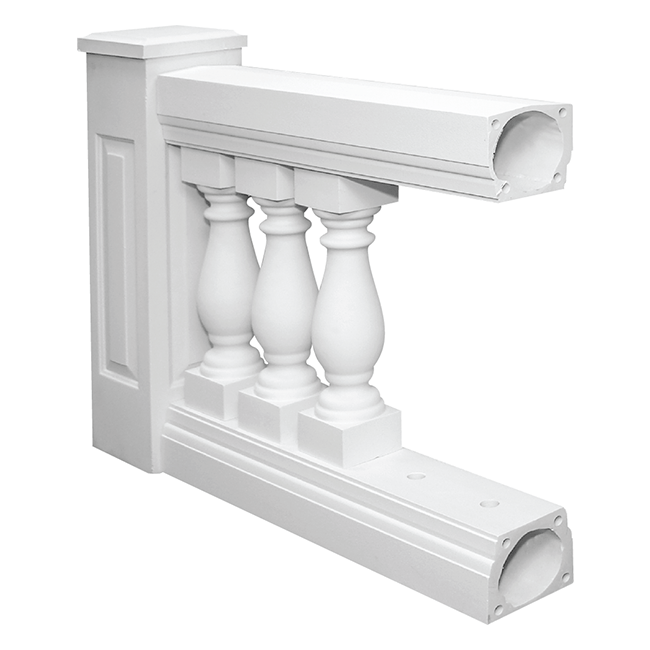 Our RoyalStone line come standard in a white textured finish and adheres to 4″ sphere spacing code. The texture closely resembles that of a light sandpaper: We offer actual color chips of our products for a nominal fee. Our Fiberglass composite balustrade systems are made similar to our RoyalStone products but are reinforced with fiberglass strand and are a paint-grade product. Architectural Mall manufactures a plethora of sizes and styles and can easily customize.